Heads up, soldiers. We have got major intel inbound that you are going to want to hear. The much delayed demo for Operation Flashpoint: Dragon Rising has finally been unleashed upon the world of PC gamers and is ready for you to enlist in the fight. Temporarily of course, it is a demo after all. Codemasters, who nixed the PS3 and Xbox 360 versions of the demo in order to focus on giving the game a bit more polish, has given PC gamers the chance to play the first full mission – the title track Dragon Rising – either by themselves or with some buddies in four player co-op. The mission puts a Special Forces unit behind enemy lines with the express mission to disable their radar and missiles in order to allow reinforcements to land safely. 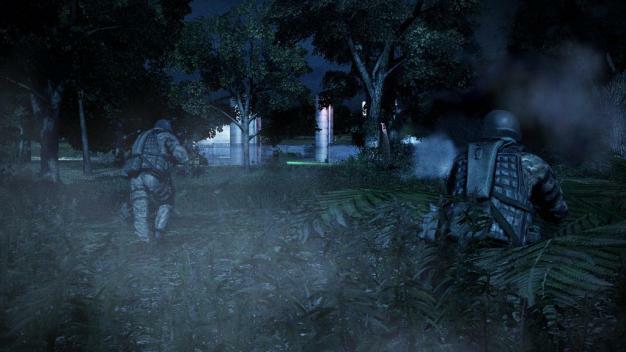 Players can choose how and where to go about the objectives while fighting AI who react realistically, using true-to-life tactics. Console owners, do not fret; Codemasters has not forgotten about you – if you own an Xbox 360 that is. While there will be no demo, at least none announced as of yet, the developer will soon be providing Operation Flashpoint: Dragon Rising and military-themed clothing through Avatar Marketplace. All the items will be priced at 80 Microsoft Points and range from t-shirts and caps to camouflage suits and Special Forces tactical clothing.